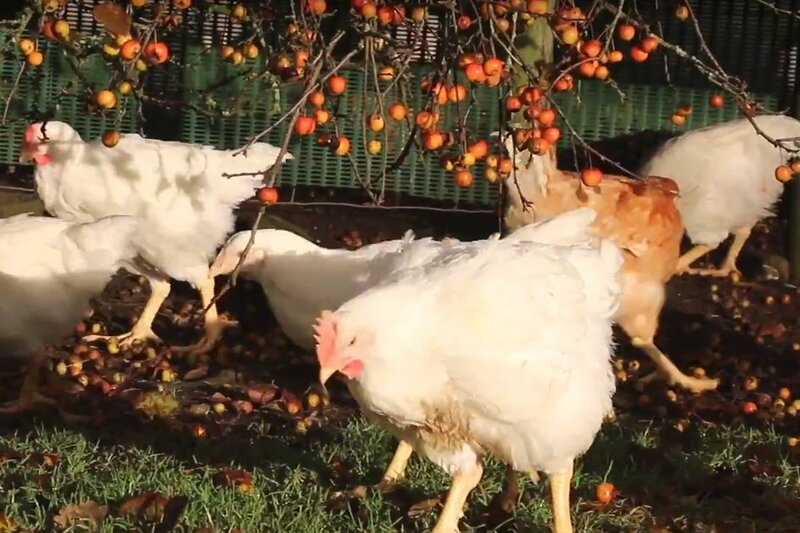 Producing organic poultry for Moy Park gives us a chance to make a reasonable income while maintaining the welfare of birds and appealing to consumers who understand the importance of welfare. Producing organic chickens for Moy Park has allowed Northern Ireland poultry farmers Joel and Sinton Kerr maintain the highest welfare standards for their birds while ensuring the family farm remains profitable. They explain why organic farming is right for their business. For third-generation farmer Sinton Kerr, his wife Allison and son Joel, quality has always been at the heart of their family business. Producing 30,000 organic birds for Moy Park on their farm in Dungannon, County Tyrone, along with a small flock of non-organic sheep, the family focuses on producing high-welfare birds which enjoy a free-range life and display their natural behaviours. Given the scale of their operation, it’s a method of farming that they might otherwise have struggled to continue whilst maintaining a profit. But thanks to farming organically, they are able to appeal to a customer base which demands the highest of quality, and is prepared to pay a premium for birds which have lived a high-welfare life. “This is farming that my father and grandfather might’ve done, but these days with a farm of this scale we couldn’t have made a profit,” says Sinton. “Producing organic poultry for Moy Park gives us a chance to make a reasonable income while maintaining the welfare of birds and appealing to consumers who understand the importance of welfare. And as consumers become increasingly interested in provenance and animal welfare, having the assurances of what it means to be organic is even more important, adds Joel. “There’s a growing interest in food and where it comes from, and being able to tell the story of organic helps us appeal to that customer base,” he says. With Brexit on the horizon, having the assurances organic offers in terms of how birds are produced is going to become increasingly important, Joel says. “With Brexit, there’s a potential for low-quality meat to come into the country, but with organic we know there’s an established customer base who want to buy meat that they know is high quality. “They want to know where their food is come from, what it’s been fed, and that it has had a good life. Regardless of what happens in terms of trade long-term, the concept of organic is something the family strongly believes in, and won’t veer away from, Sinton adds.